Heeft u een vraag voor The Krungkasem Srikrung Hotel? 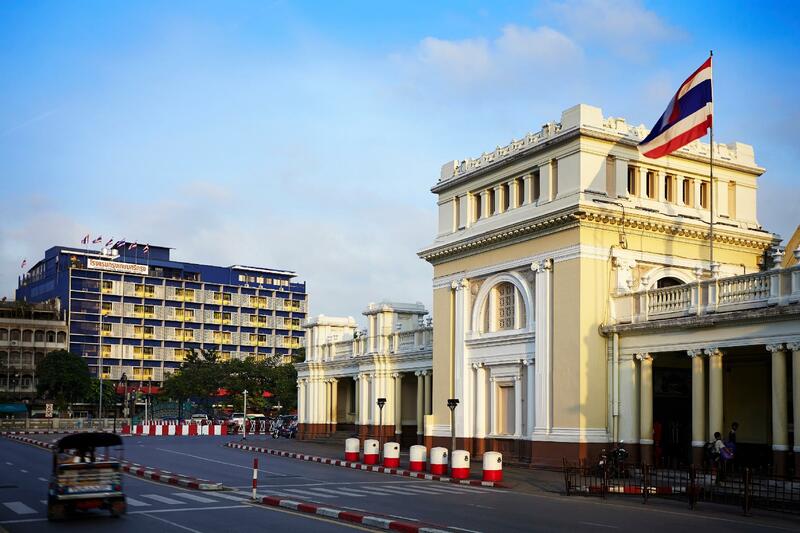 Een kwaliteitsaccommodatie voor wie geïnteresseerd is in cultuur, restaurants, winkelen: het The Krungkasem Srikrung Hotel in Bangkok is een prima adres voor zowel zakelijke reizigers als toeristen. Het hotel ligt 4.6 km van het stadscentrum en de belangrijkste faciliteiten zijn dus goed bereikbaar. Dankzij de praktische locatie liggen alle belangrijke trekpleisters in de buurt van het hotel. Het The Krungkasem Srikrung Hotel biedt tevens vele faciliteiten om uw verblijf in Bangkok zo aangenaam mogelijk te maken. Terwijl u verblijft in deze geweldige accommodatie, geniet u van faciliteiten als gratis wi-fi in alle kamers, 24-uur beveiliging, dagelijkse schoonmaak, post service, 24-uur receptie. 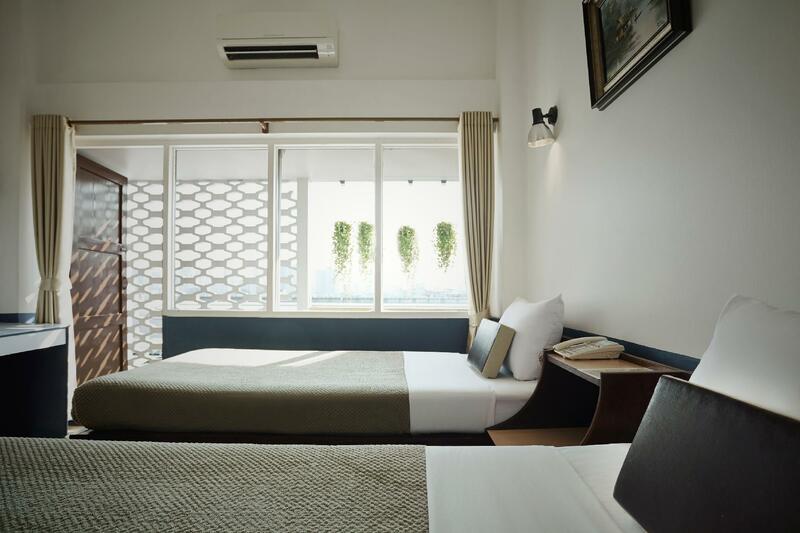 Het The Krungkasem Srikrung Hotel beschikt over 120 kamers, allemaal smaakvol ingericht voor optimaal comfort, met voorzieningen als plasma tv, internet (draadloos), draadloos internet (gratis), airconditioning, verwarming. Daarnaast garanderen de talrijke recreatieve mogelijkheden dat u zich tijdens uw verblijf kunt vermaken in het hotel. Ontdek een boeiende mix van professionele dienstverlening en een breed scala aan faciliteiten in het The Krungkasem Srikrung Hotel. Dear Guest, Thank you very much for staying with us. Your reviews are highly been appreciated for improving our services and facilities. Should you have any special requests for your next trip, kindly inform us. We will try our best to fulfil your requests. We all hope to welcome you back to our hotel in the future. Best regards, Kanoknard C.
Dit hotel is een prima uitgangspunt voor jullie starterspakket. Drie dagen centraal in Bangkok. Alles klopte net aan , duidelijk was dat Corendon bij de inspectie wat aanwijzingen van verbetering had gegeven. Aardig personeel. Waar voor je geld, meer dan! Zo’n startersreis, prima idee. Breid het uit met Kuala Lumpur, Jakarta of Singapore en WIJ blijven voor eeuwig klant!! Dear Guest, Thank you very much for staying us. Your reviews are highly been appreciated for improving our services and facilities. We all hope to welcome you back to our hotel in the near future. Best regards, Kanoknard C.
Vorige keer had ik stationszicht en dat beviel beter. Beetje vergane glorie maar alles werkt prima. WiFi dekking en snelheid is goed maar hoe het geregeld wordt maakt het nagenoeg onbruikbaar. Ontbijt is OK maar wekt de indruk van een ontbijt fabriek, niks gezelligs. Kamers zijn prima met goede airco, bedden en douche. Ligging vlakbij Trein en MRT. Overall niet slecht beetje afhankelijk van wat je zoekt en waarom. Omdat de ligging naast het station gunstig was en de eind beoordelingen goed, hebben we een TWIN DE LUXE kamer geboekt. Grote, brede bedden met paardendeken, ranzige badkamer, alles oud en vervallen en heel gehorig. Ieder morgen een coupon voor het ontbijt vragen en ook een nieuwe WiFi code. We wilden ipv ham en saucisse , 1 x toast erbij. Ondanks dat het totale bedrag al van onze rekening was afgeschreven, zijn we 1 dag eerder weggegaan, Een afknapper Een backpackers hostel is vaak beter. Prima budget hotel. Ooit gebouwd als luxe hotel maar wel ingehaald door de tijd. Echter alles werkt, schoon, comfortabel, vriendelijk, redelijk standaard ontbijt. Nieuwe stille airco, (lege) koelkast, fijne douche en prima bed. Wat omslachtig internet en de bar sluit vroeg. Dicht bij trein, metro en China Town. Zal nog wel eens terugkomen. Goed hotel met een zeer goed ontbijtbuffet. Ligging t.o. treinstation Hua Lamphung, goed ontbijt, nette kamer en vriendelijk personeel. I chose this place because it is close to the railway station and MRT - it takes only a couple of minutes of walk to get there and it is also a few minutes drive from MBK and Siam area. It is a perfect place if you would like to take a scroll around the old town and China Town. My friend and I enjoyed walking around and found many interesting cafes and resaurants. If you are a solo traveler or just a group of girls hanging around, you will need to be extra careful in the evening/night time as there are so many people, especially many men, waiting for the trains in the dark nearby the bridge between the railway stations and the hotel. What I really liked about this hotel was the breakfast. They have a good variety of food there - but when you toast your bread, be careful not to burn it! They have a class toaster (and it was my first time using it) and my croissant came out with a fire set on it - I laughed quite hard that hilarious morning. Srikrung hotel is ideal if you need to be close to Bangkok main rail station - Literally a 3 minute walk away. the rooms are large and clean. bathroom with good hot water. Staff are helpful, and the breakfast is very good value for the price. Excellent for a 1 or 2 night stay. Hotel has own policy than what we read at agoda. We was happy to get good offered price at agoda for the whole family including small children.but on arrival they said we have to pay separately for the elder one as he is six years, for stay and breakfast. In agoda clearly mentioned for 0-6 years if using existing beds no need to pay. But at hotel, charged each night. For planned trips by family with children, hotel should have mentioned beforehandly there will be additional charges awaiting on arrival. So that we can plan as much possible.It was very unethical and shock for us. Universal rules not belong here. They gave a quick reply but just blah blah , nothing convincing even though we had mentioned ages accordingly with passport. We booked this hotel because we had to take the train the next morning. The train station is right next to the hotel. Beside the location, breakfast is the only positive thing about the hotel. It's old, lousy hard beds, a lot of noise. Pictures are really nice compared to reality. Book this one only for the practical side of the train station which is literally 3 minutes by foot away! location is easy to find. just across the street and canal with a beautiful bridge from the Hua Lam Phong train station. Chinatown is distance walk from the hotel. room is clean and spacious. breakfast just nice but need some improvements. Agree with most good comments about this hotel. It is very affordable, with quite spacious, although somewhat dated rooms. A minute across the canal to the train station, and 10 minutes walk to Chinatown. Buffet breakfast quite adequate and included in the already great discounted room rate. Excellent! It's the best location for the Hau Lompong Central train station, being only 100 metres on other side of canal. It's a short 10 minutes walk to Chinatown night street food Market. Very attentive staff at reception. Breakfast buffet was quite adequate with eggs, cold meats, sausages, juice, tea, coffee, fresh fruits, toast, yoghurt and some salad. Rooms are dated, but spacious and very clean. But a relief is that their room WiFi works well and did not stop working. Something which other hotels have a tendency to stop working. other than location, it is good to have a quiet hotel to settle down after a busy noisy of Bangkok city.